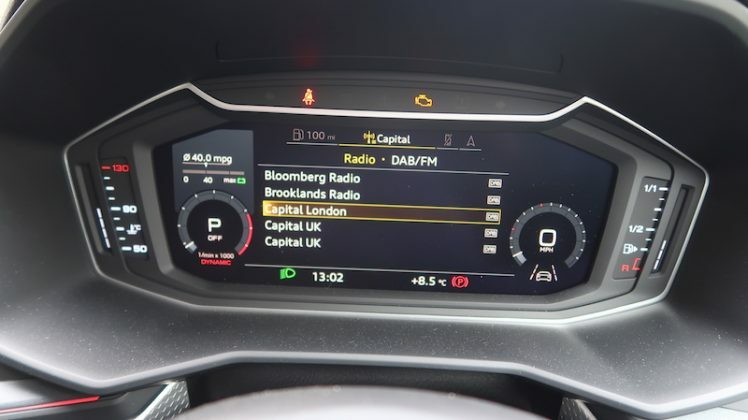 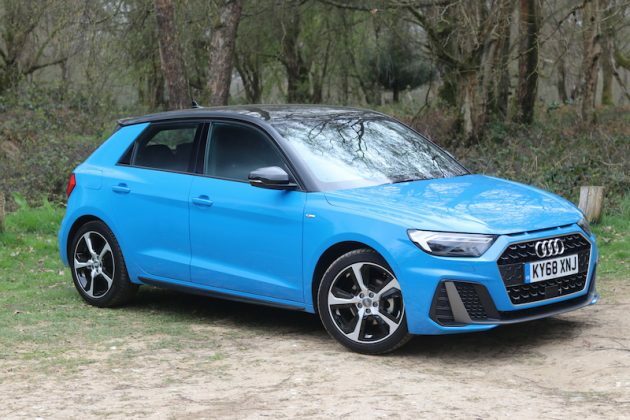 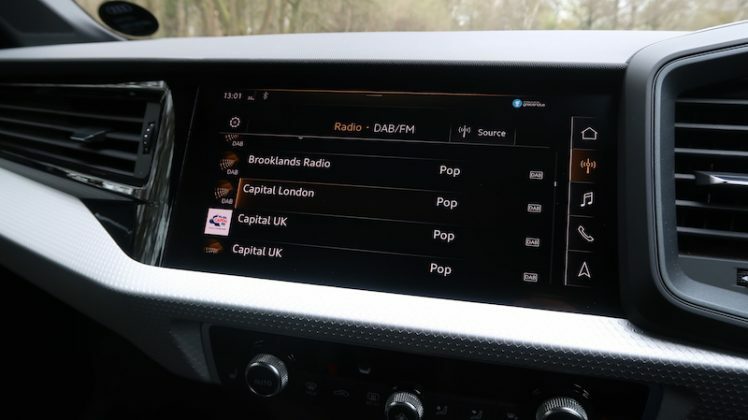 Since its birth in 2010, the Audi A1 has been a popular car, as it enabled buyers to get their hands on a car with the famous four rings on the front without breaking the bank, and now there’s a new version. It’s meaner, more aggressive to look at, and more importantly, more spacious. 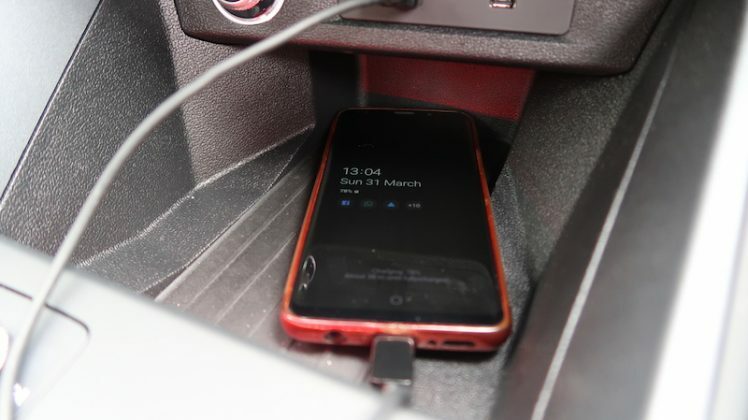 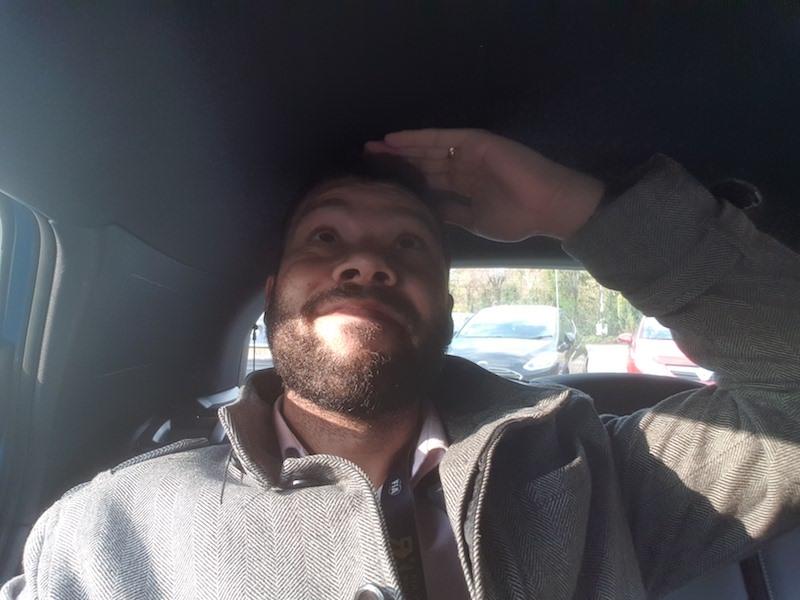 Fellow YouTuber, PocketRockets, had the old S1 last year, and slotting myself in to the rear seats gave me some idea of what it would be like to live in someone’s pocket. 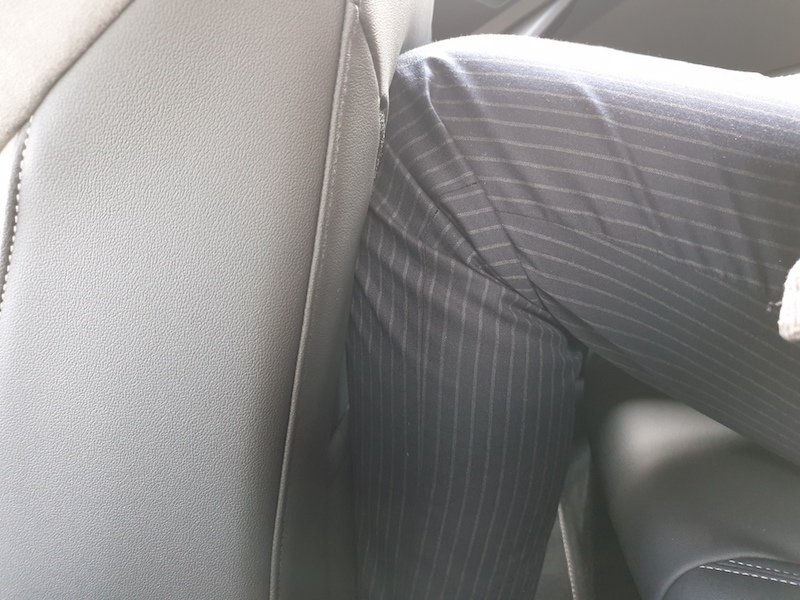 Yes, I know, it’s a small car and I’m a tall bloke (6’2″), but you get my point. 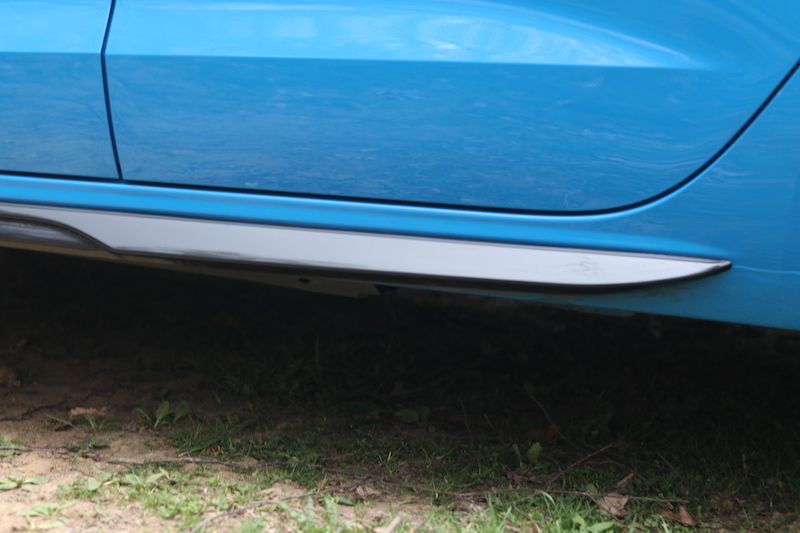 The new car, however, is 56mm longer than its predecessor so surely I may actually have a chance of fitting in the back? Well for starters, the new A1 is five door only, meaning it’s easier to get in to the back. 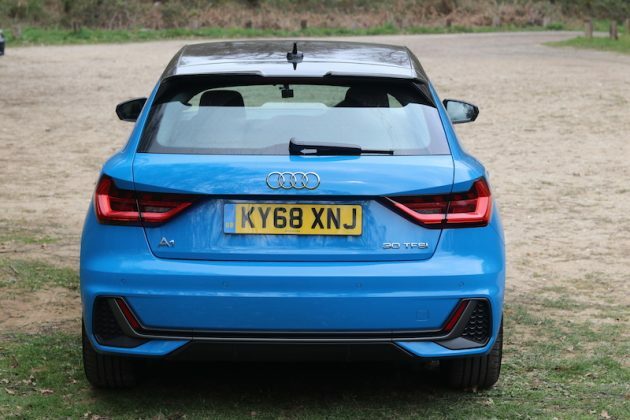 The rear is definitely better than the S1 I squeezed myself in to last year, but it’s still not the place to be for taller people. 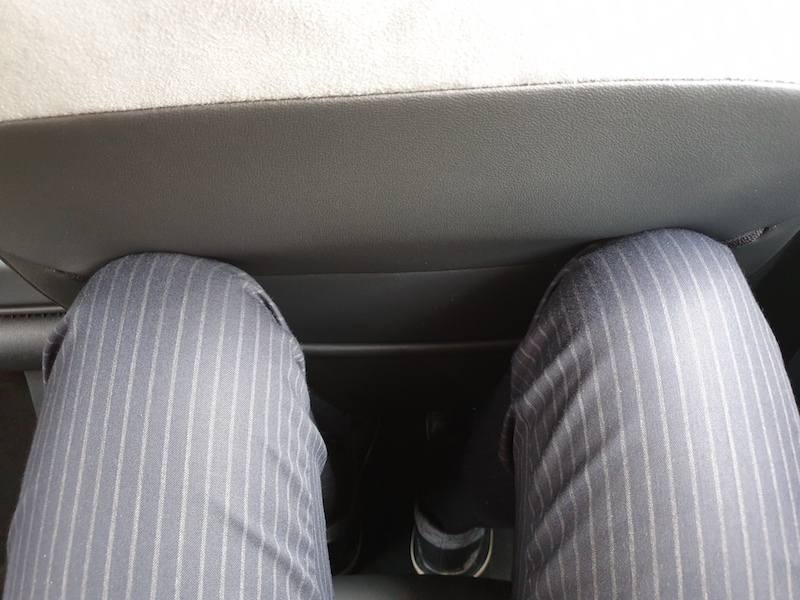 Legroom will be tight for those blessed with height, however, headroom was better than I was expecting. Legroom is better, but it will still be tight for taller passengers. Mind you, I doubt many will put taller passengers in the rear on a regular basis, so this is probably a bit of a moot point. 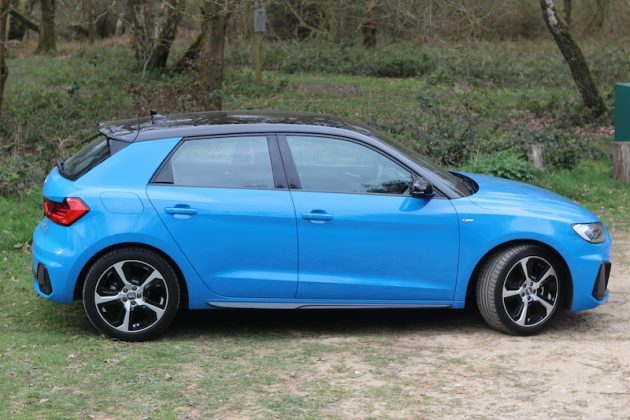 Having said that, if you want a supermini with more space in the rear then I’d recommend having a look at the SEAT Ibiza. 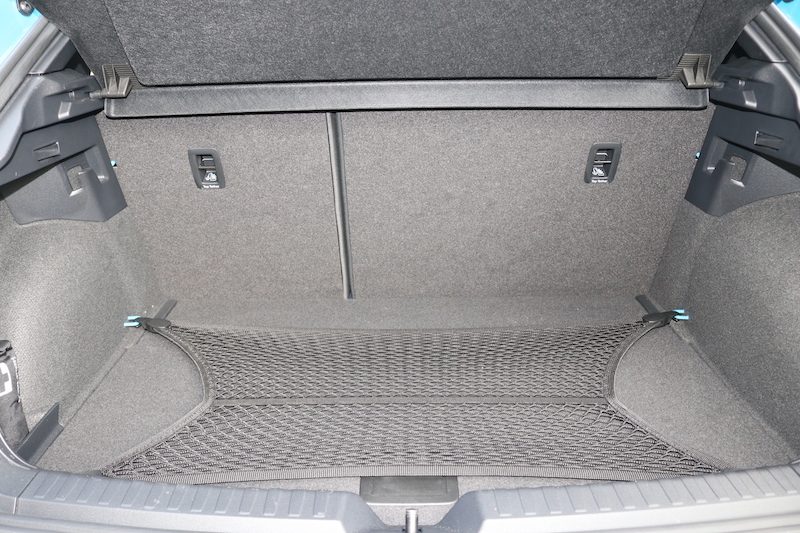 The boot, thankfully, has also seen an increase, and is now able to offer 335 litres – 65 more than before. 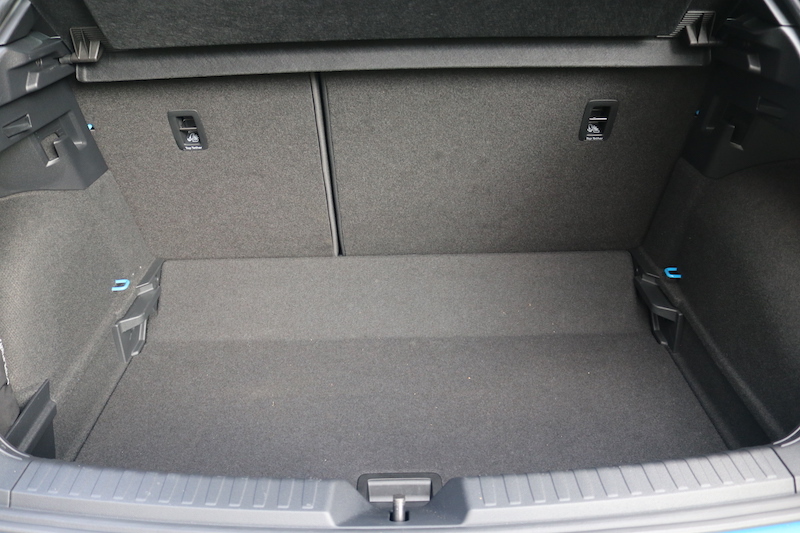 If you need more space, though, you can fold down the 60/40 rear seats to give you over 1,000 litres – not bad at all. However, what really impresses about this car is the techy stuff. 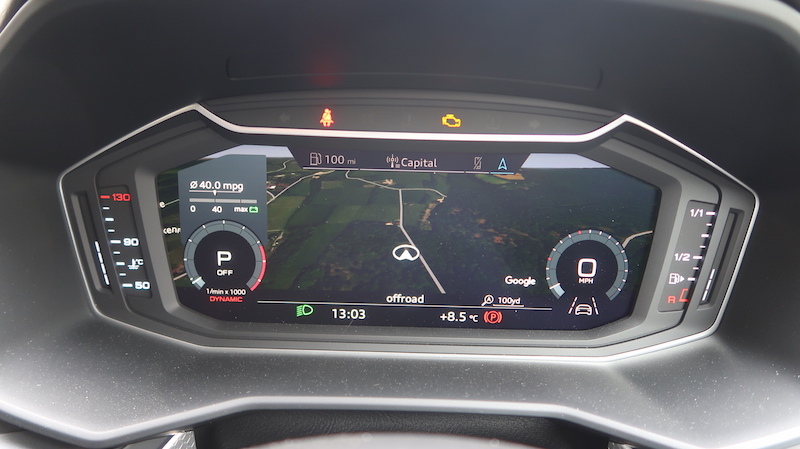 As standard, every A1 gets given a 10.25″ digital cockpit, which is very similar to Audi’s better known Virtual Cockpit, but loses a few features. 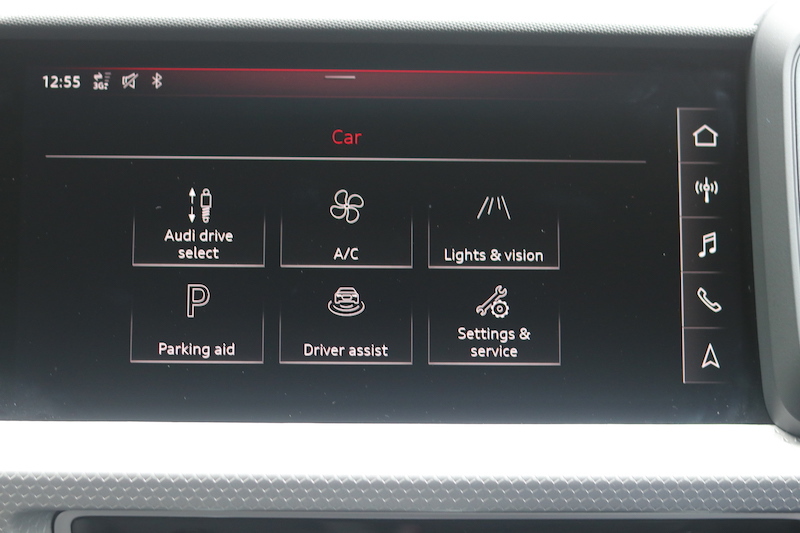 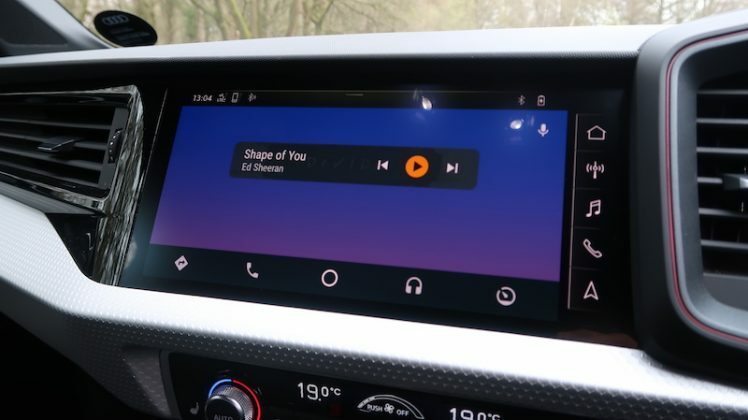 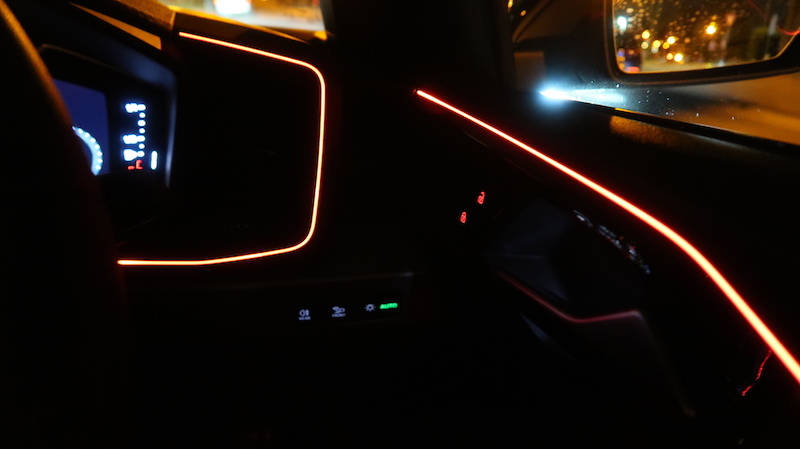 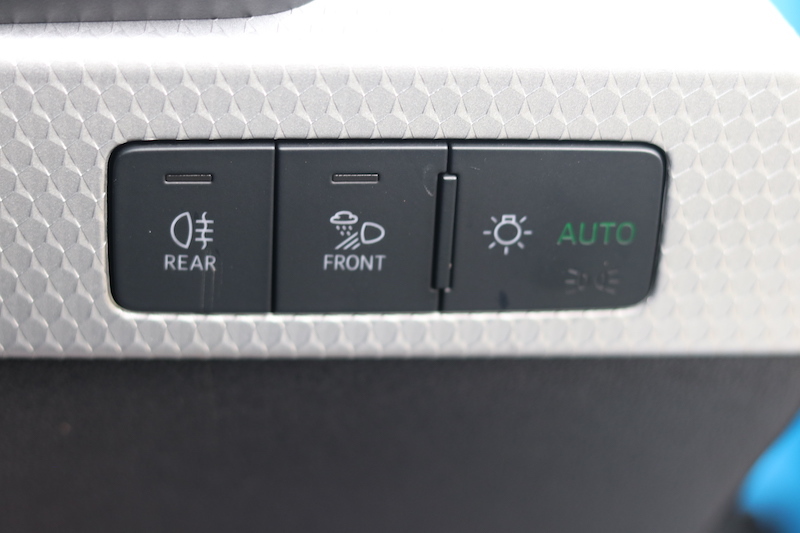 As well as the Digital Cockpit, the A1 also comes standard with an 8.8″ touchscreen, plus LED headlights – even on the base model. 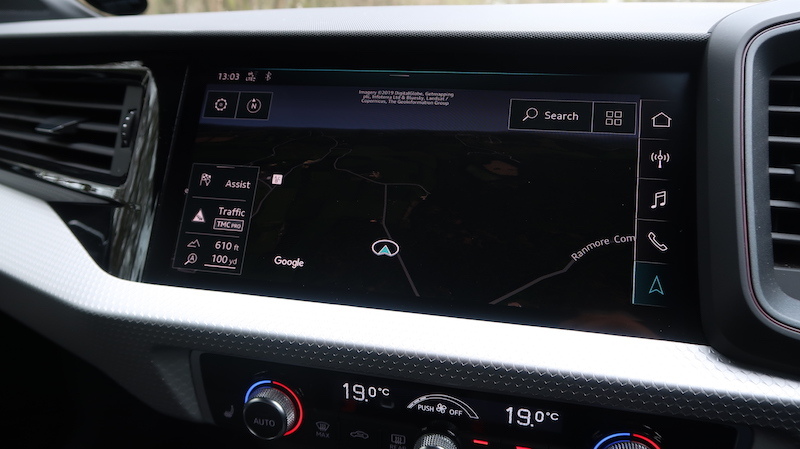 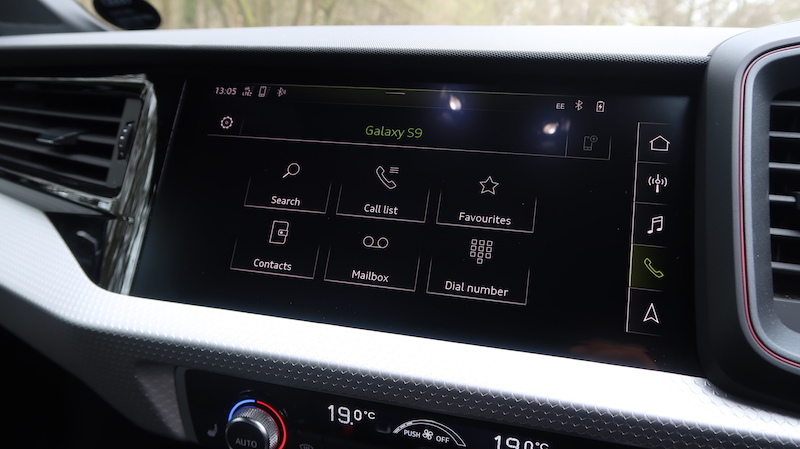 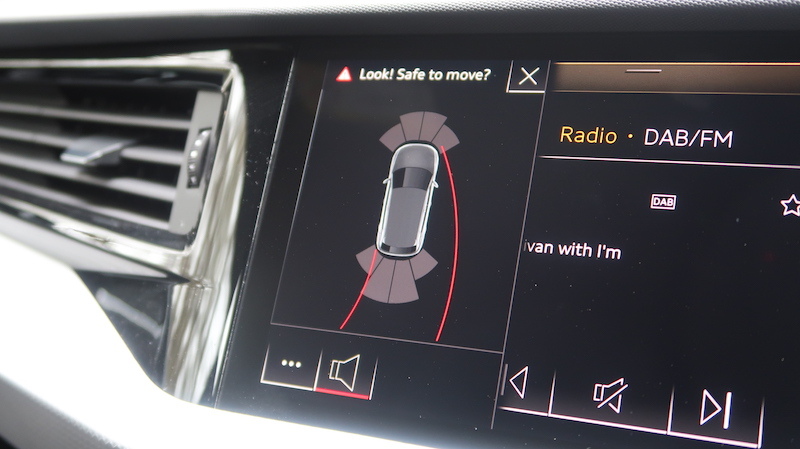 The car on test has got a complete smorgasbord of options, though, and a result, the model tested here was fitted with a 10.25″ touchscreen and the Virtual Cockpit, thanks to the Technology Pack. 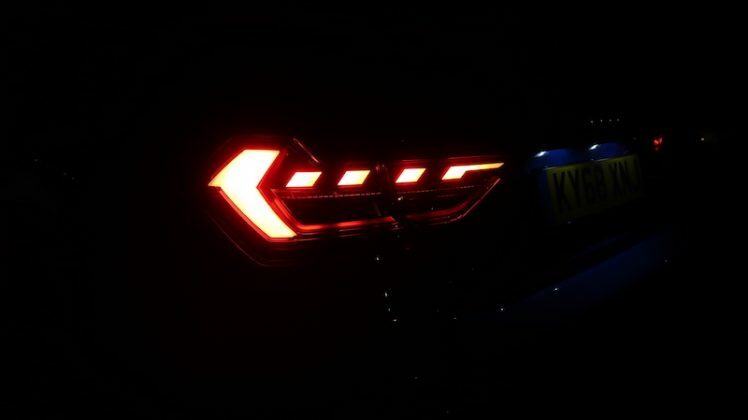 The pair combined look so good, you’ll probably want to spend more time looking at them than the road, although that obviously wouldn’t be advisable. 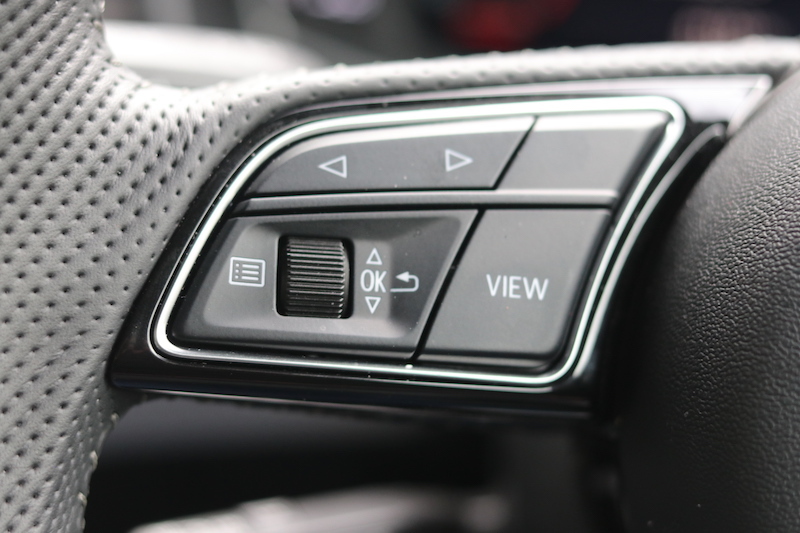 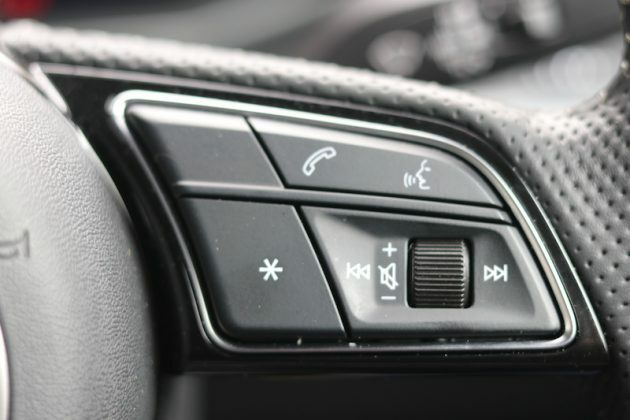 What I really like about the touchscreen is that it’s angled towards the driver for better ergonomics, along with the air conditioning dials. 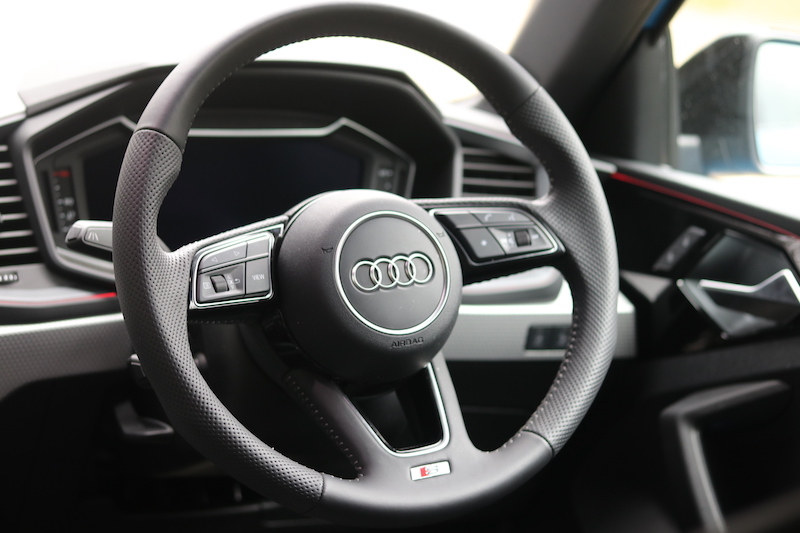 As much as I love the tech, I think it’s about time I talk about how this pint-sized Audi drives. 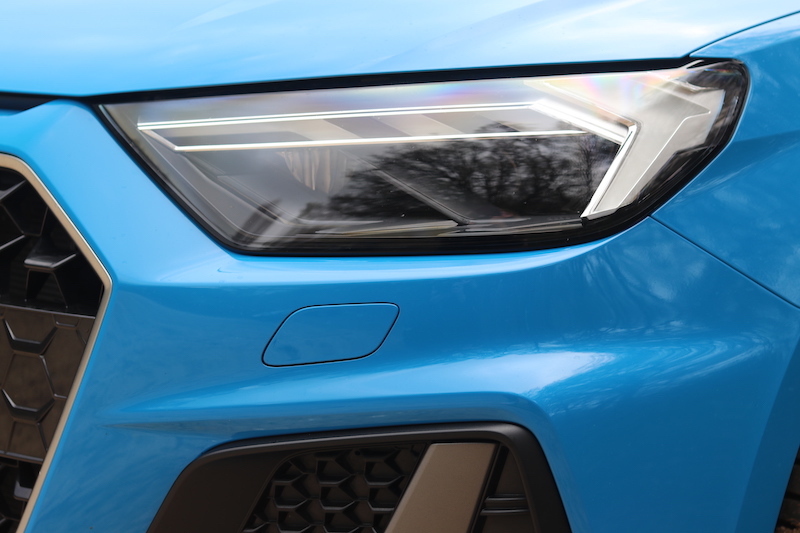 Providing the power of this car is a 1.0 litre turbocharged three-cylinder petrol engine which produces 116hp and 200Nm of torque. 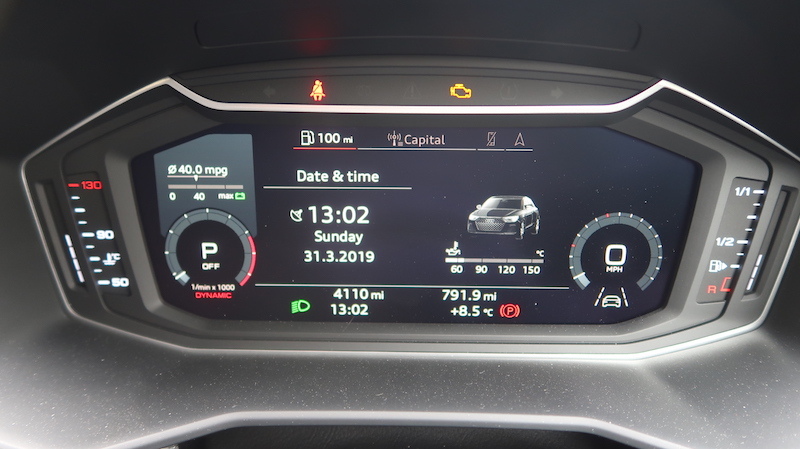 I’ll be honest, on paper, I wasn’t expecting much from this engine, but in the real world it performs well. 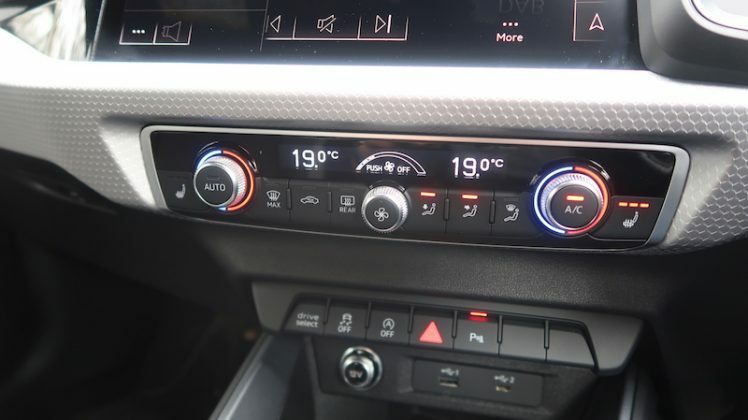 It’s nippy, responsive, and stronger than I’d thought it would be. 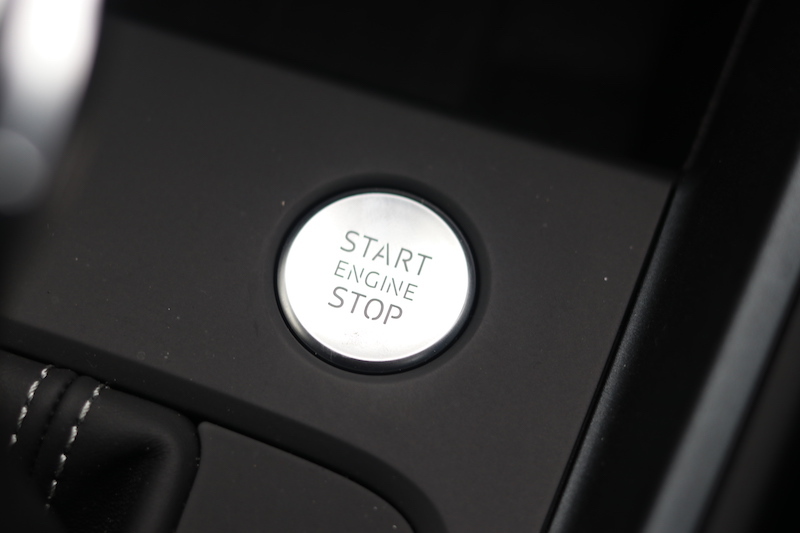 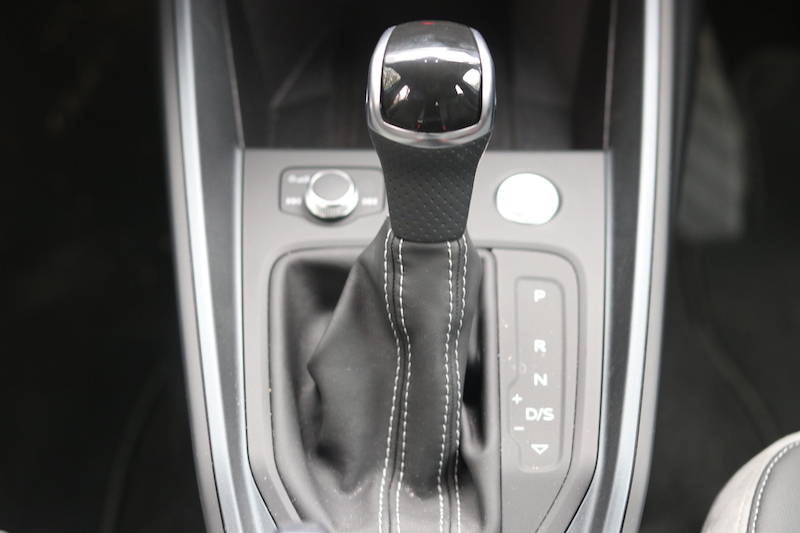 This engine can either be mounted to a 6-speed manual gearbox, or in the case of this car, a 7-speed S Tronic automatic. 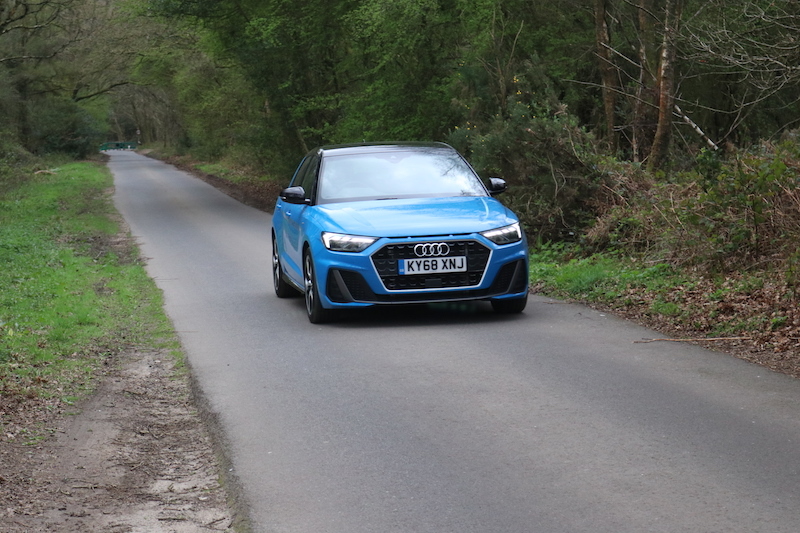 The S Tronic works well – for the most part it’s smooth, but it’s not quite as seamless as other Audis I’ve driven. When driven in a dynamic manner, there can be pauses when it’s changing gear, although I wouldn’t go so far to call it jerky. In regard to performance, this car will hit 62mph in 9.4 seconds and continue to a top speed of 125mph, which is pretty respectable. In case you don’t fancy this three-pot, then fear not – there are other engine choices to be had. 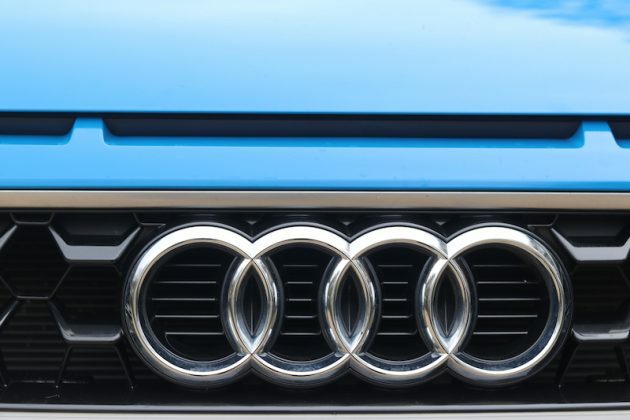 They are all turbocharged, and all petrol, so diesel lovers need not apply. 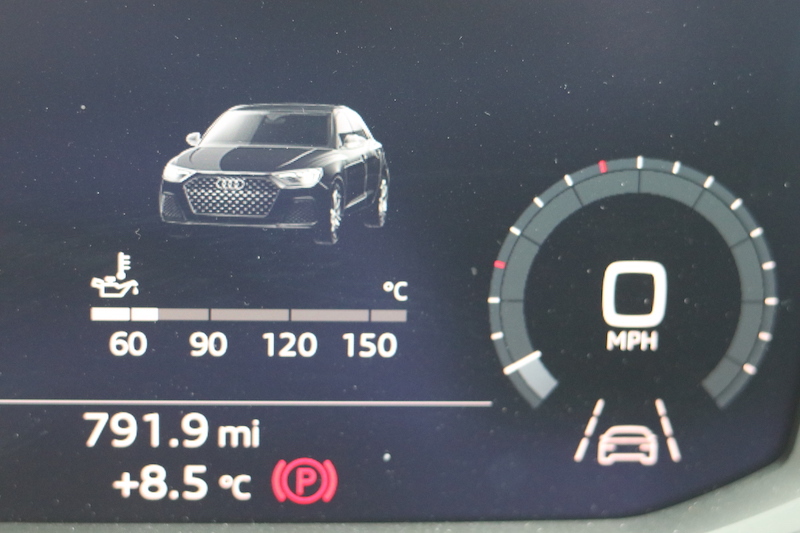 Below the engine I’m using in this review there is a another 1.0 litre three pot, only it offers 95hp and not 116. 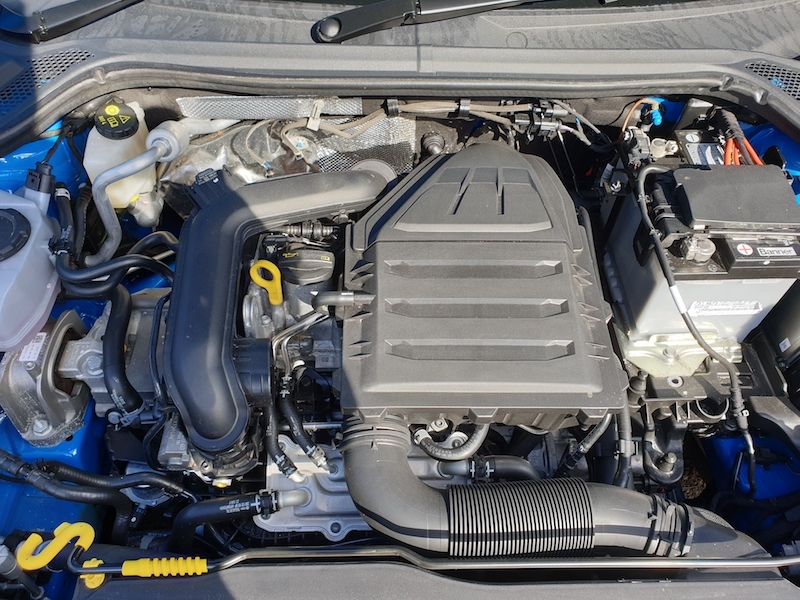 If you yearn for more power, then you can choose from either a 1.5 litre four cylinder unit that offers 150hp, or a 2.0 litre four cylinder that offers a more racy 200hp. 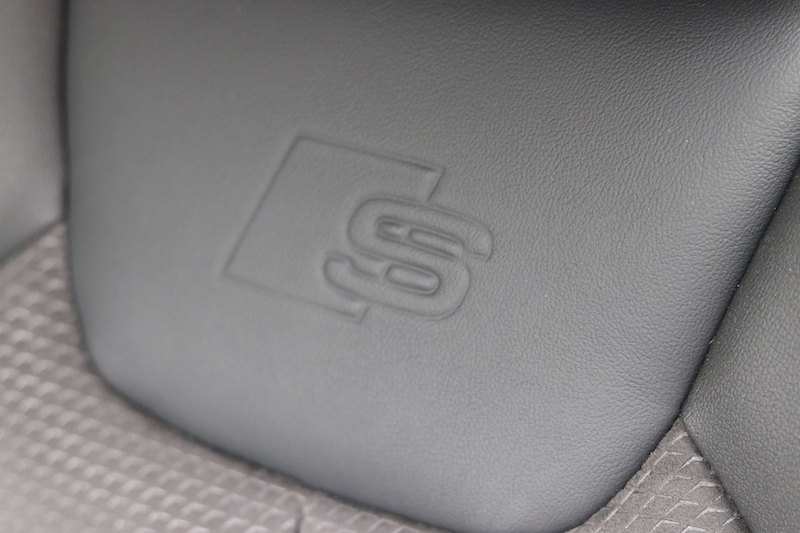 The 95hp comes with a 6-speed manual, the 1.5 litre engine offers either the 6-speed or the S Tronic, whilst the 2.0 litre is mated to the S Tronic exclusively. 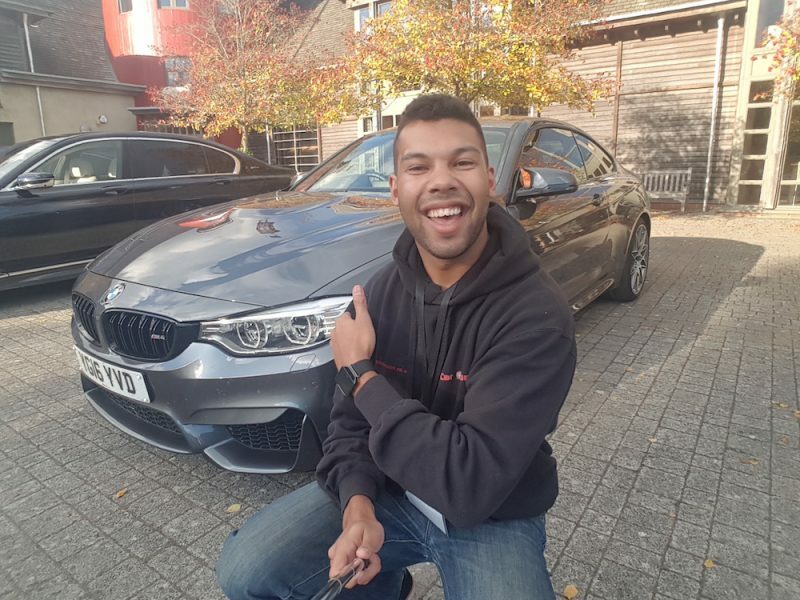 The model on test here is the S Line, which sits around the middle of the A1 range, offering a sportier, aggressive look, and firmer suspension. 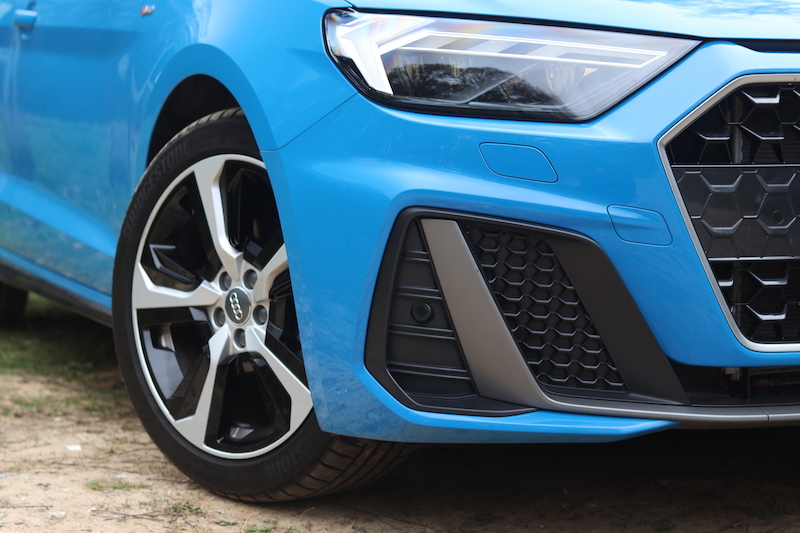 17″ alloys come as standard, and you also get a more aggressive body, with vertical fins on the front bumper. 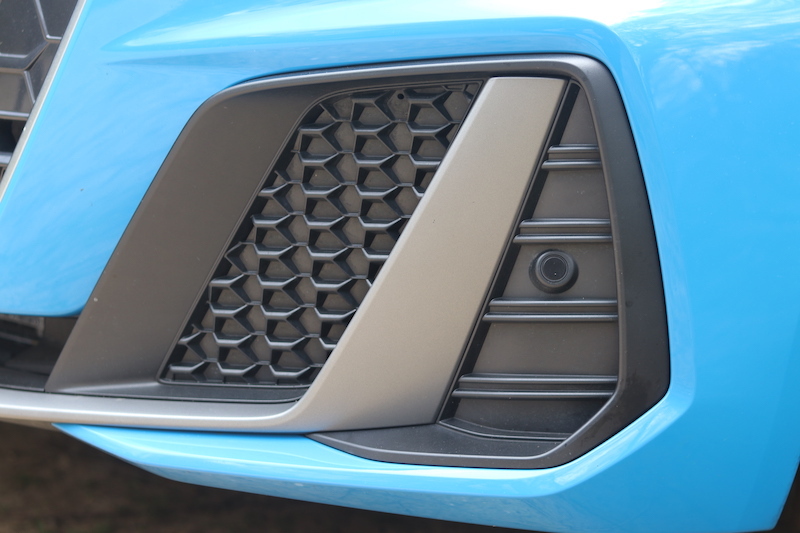 Recognise those three slits in the bonnet? They are inspired by the iconic Ur-Quattro, which dominated the rally scene back in the 80s. 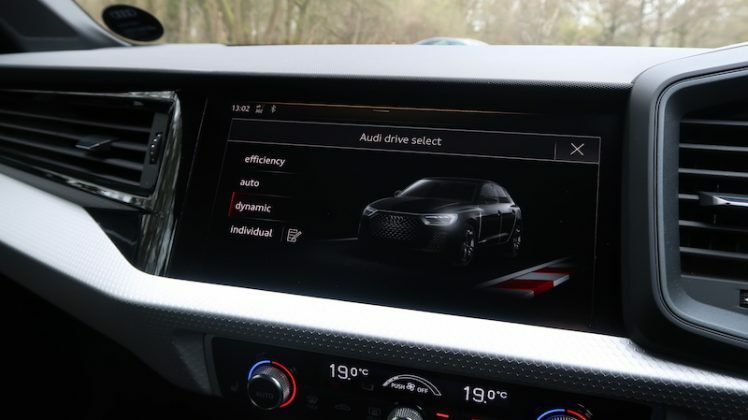 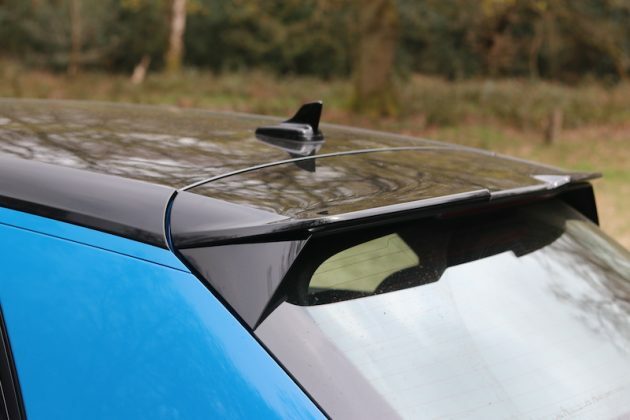 It’s a nice touch, and it’s one that is standard on all of the new A1 models. 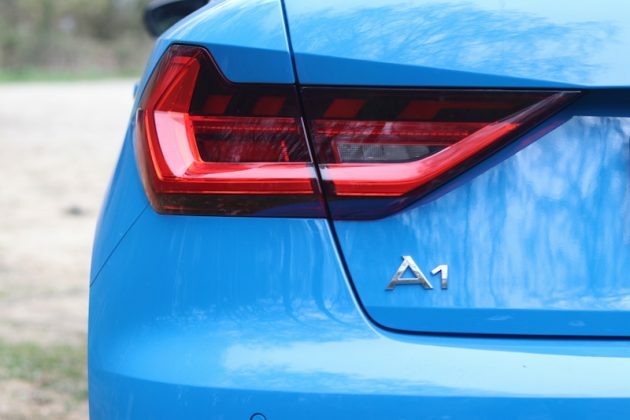 The new A1 looks much meaner - I like that. 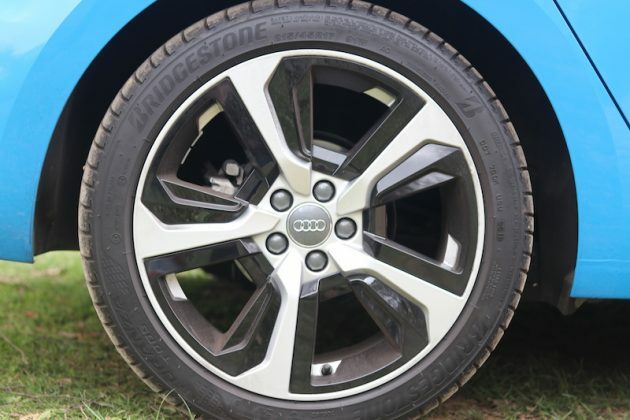 These rims look pretty smart, but I'm afraid they are an optional extra. The S Line also receives Audi’s Sport Suspension, which makes the car undeniably firm. 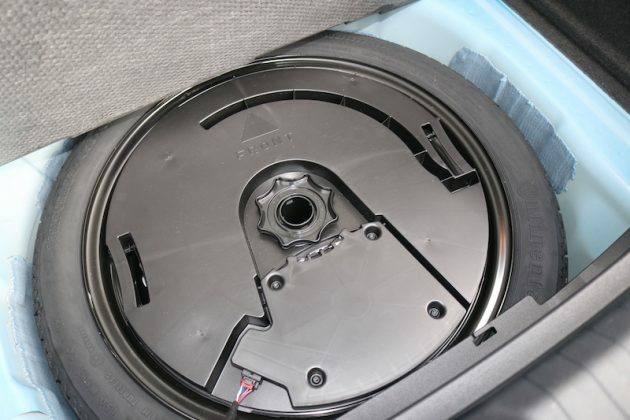 For this reason alone, I’d advise it’s probably a bad idea to go for the optional 18″ alloys. 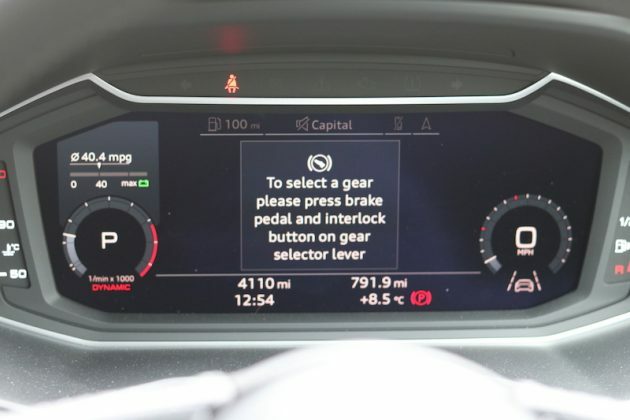 I do have a Drive Select function, but the S Line does not have adaptive dampers, so putting the car in to comfort mode only makes the steering lighter and the engine more docile. 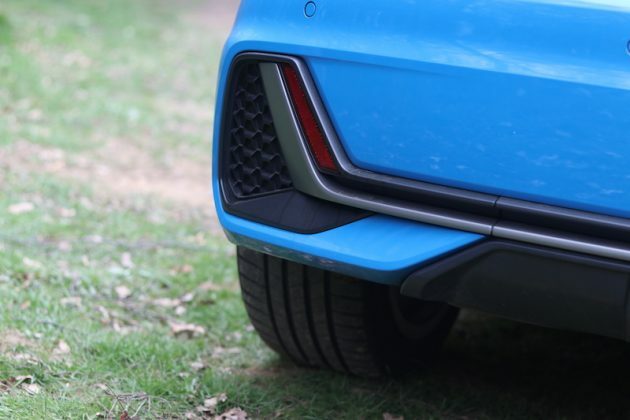 However, if you go for the S Line Competition, you will get adaptive dampers. 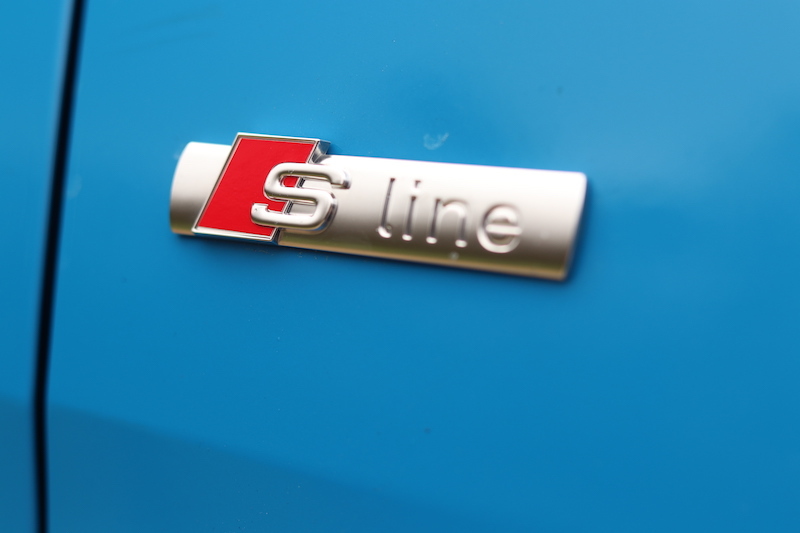 The A1, from standard, starts from £17,700, but I have the S Line, which starts from £20,800. However, I have the S Tronic, which bumps that price up to £22,350. It doesn’t stop there, though, because as I mentioned earlier, this car has been peppered with options. So many, that I’ve had to resort to the spec sheet. This car in total, is £29,930! 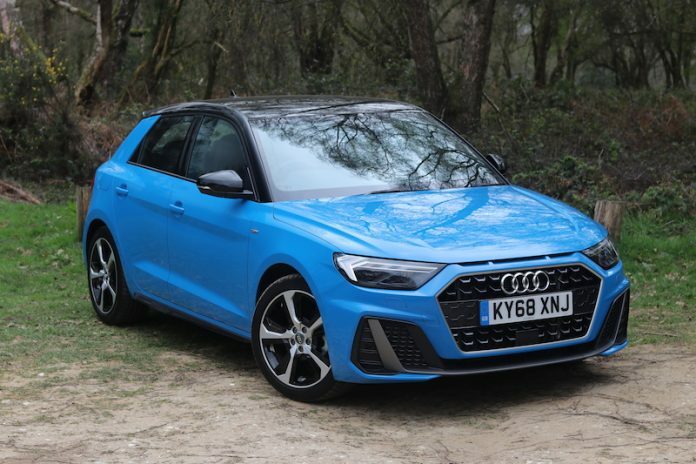 OK, OK, no-one is forcing you to spend this much on an Audi A1, you don’t have to spec these options if you don’t want to. For what it’s worth, the alloys, the contrast pack and the grey tint are options available to the UK, although this is a UK car. 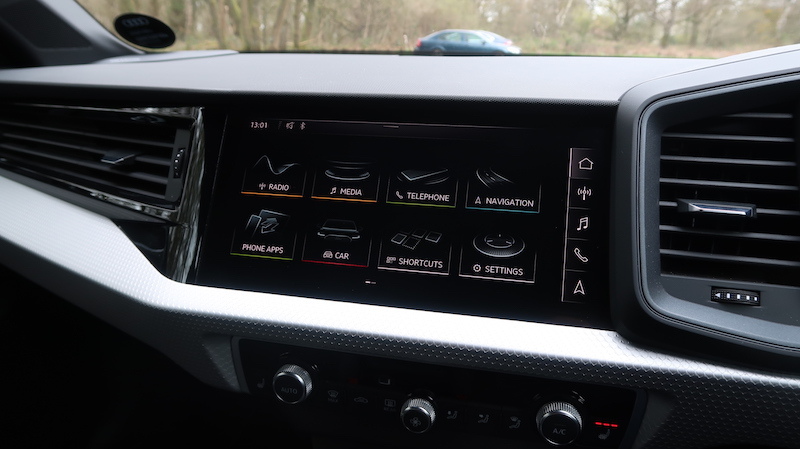 At this point you may think that this car is nothing without its options, so let me run you through what comes as standard. As I’ve mentioned, the S Line receives the sportier looks, as well as 17″ alloys and the firmer suspension. 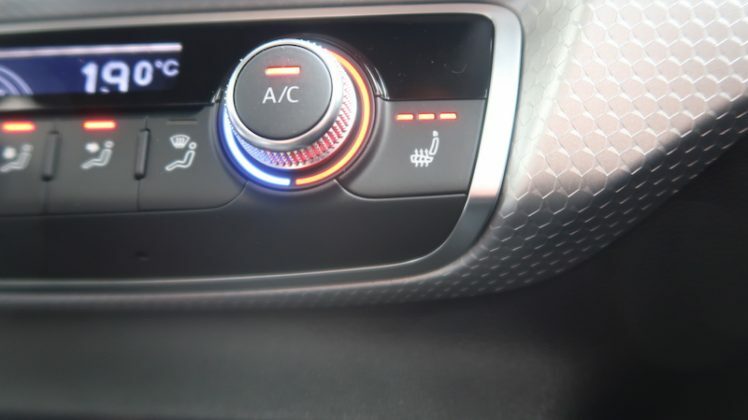 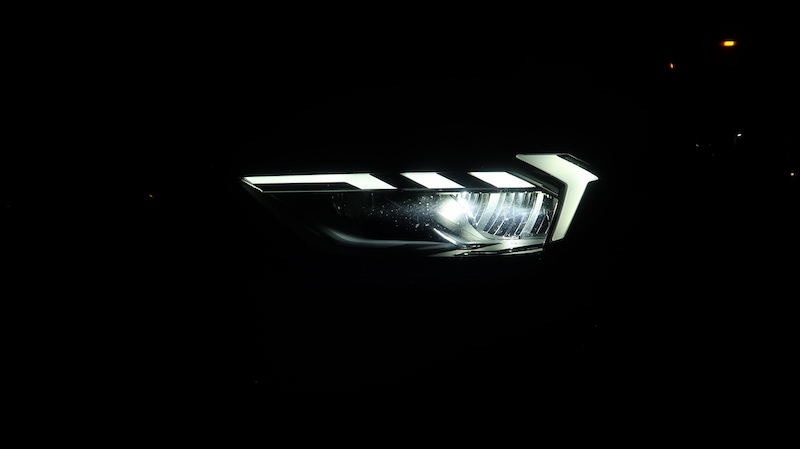 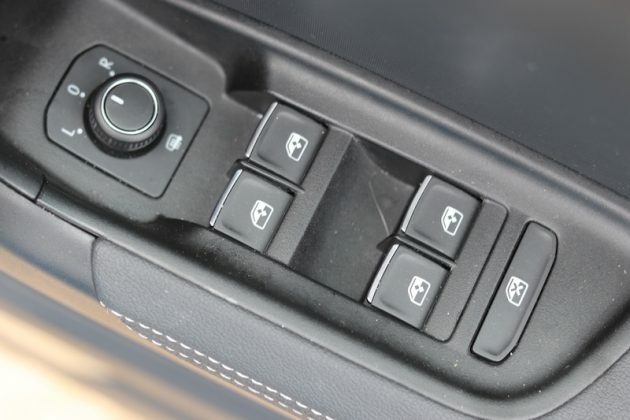 But on top of that, you get LED headlights and rear lights, 8.8″ touchscreen, smartphone connectivity, cruise control, front sports seats, rear parking sensors, drive select, autonomous emergency braking and lane departure warning. 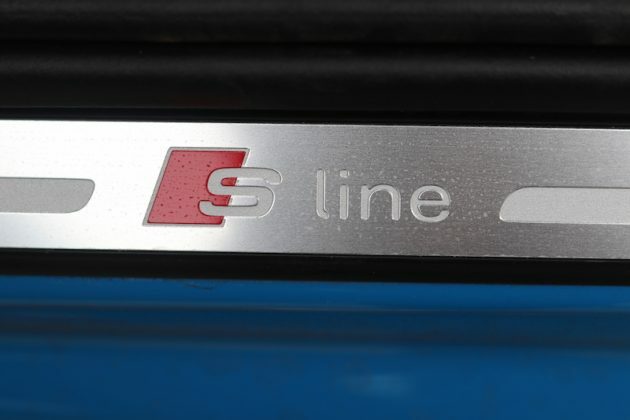 Well that of course depends on which engine you have. 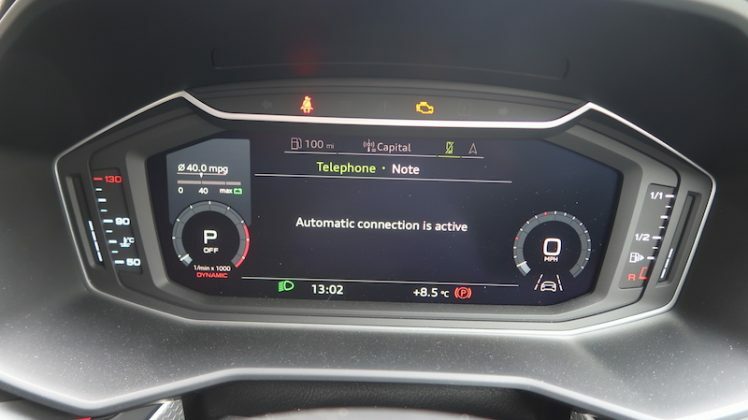 Best economy is to be had in the 95hp engine, which offers 61.4mpg on a combined run (WLTP) with CO2 emissions of 104g/km. 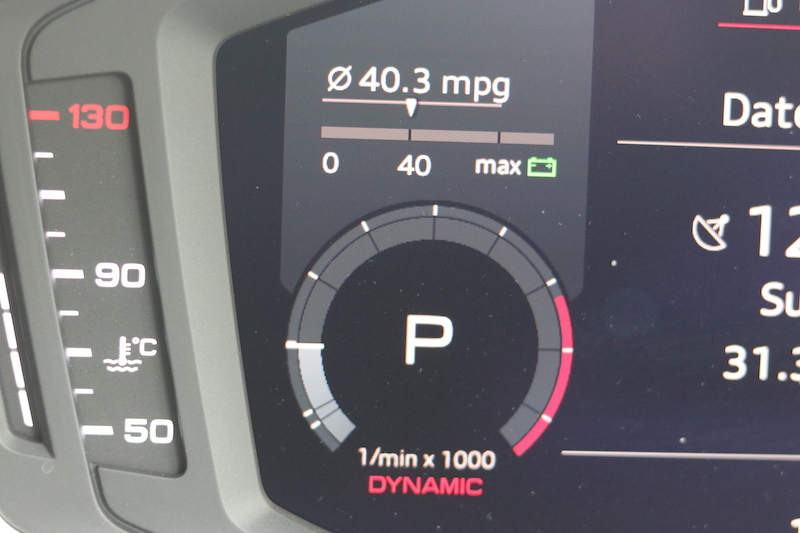 In regard to this engine, the 116hp unit, offers up to 58.9mpg, with emissions coming in at 110G/Km. This means for the first year of VED, you’ll be required to pay £150. A 3 year warranty comes as standard, this model has an insurance group of 20, and BIK rating is 26%. 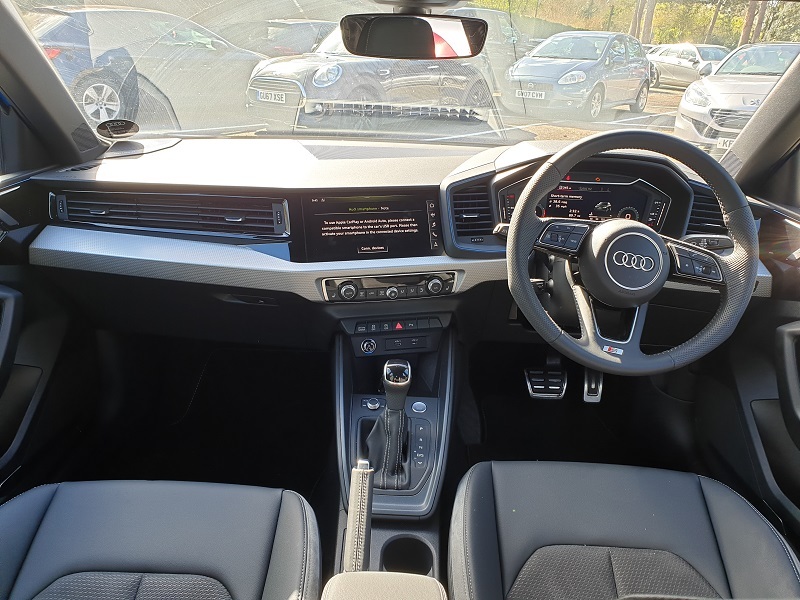 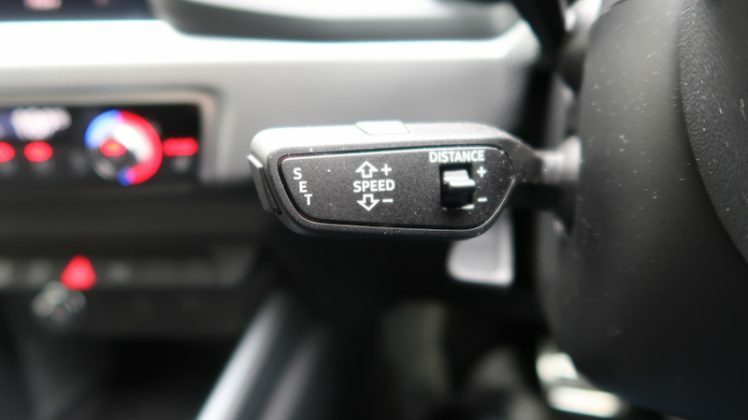 As mentioned earlier, the A1 comes with lane departure warning and autonomous emergency braking as standard, along with features such as speed limiter and six airbags. 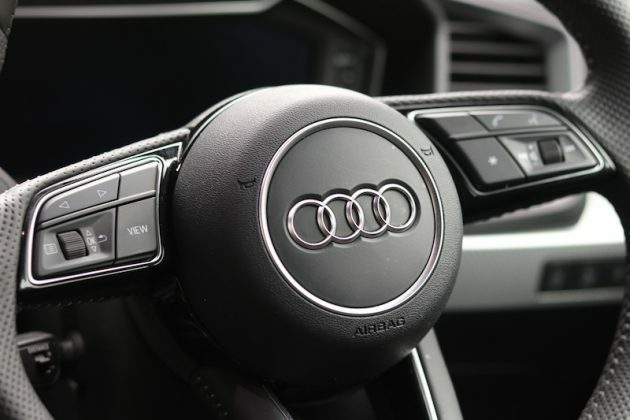 At the time of filming, the latest model is yet to be crash tested by Euro NCAP, but Audi will be looking to match the five star rating set by the first generation A1. 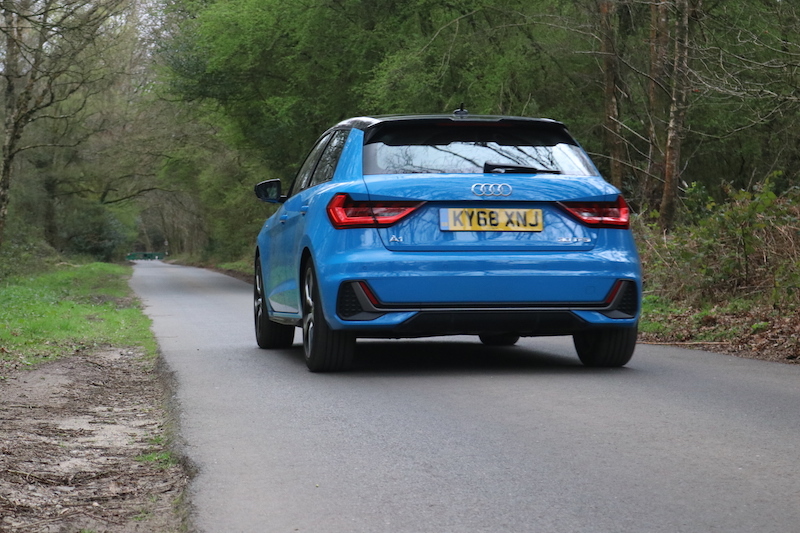 The Audi A1 is bound to appeal to those looking for a stylish city car that oozes technology, but I’m not sure the S Line is the best way to go. 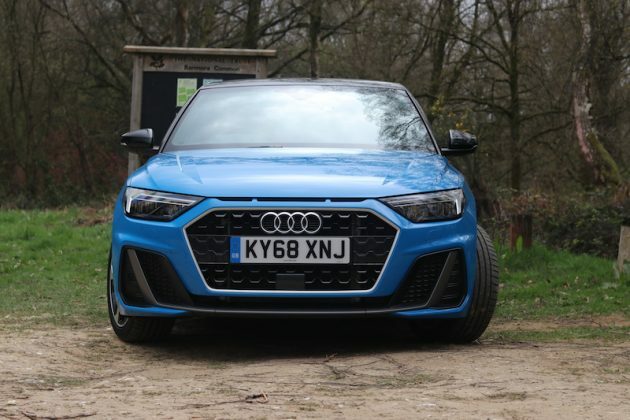 I like its aggressive looks, but I think the ride will just be a too much for some, plus this particular car is simply too expensive for a car of this size. I reckon the Sport model will be just fine for most, or if you really want the sportiness, get the S Line Competition with its adaptive damper flexibility. 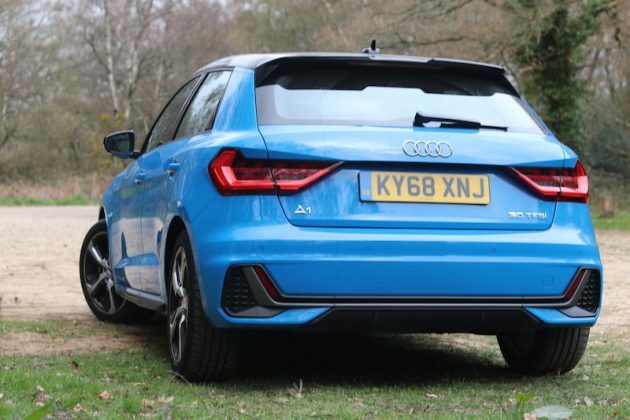 On the whole, though, the new A1 is a worthy step forward from the previous generation so it should prove to be a popular choice once more. 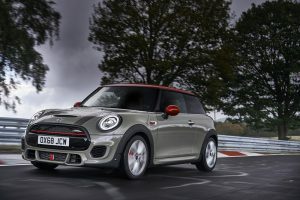 When it comes to stylish superminis, surely the Mini Cooper will be the first car to cross your mind. Like the A1, it does come at a bit of a premium and it can get pretty pricey if you go mad with the options list. 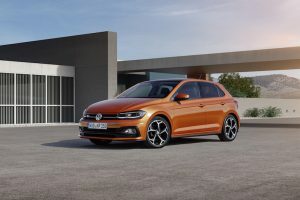 The latest Polo is classy looking car – although I’m still not sold on the bonnet design – and like the A1, it has badge appeal. 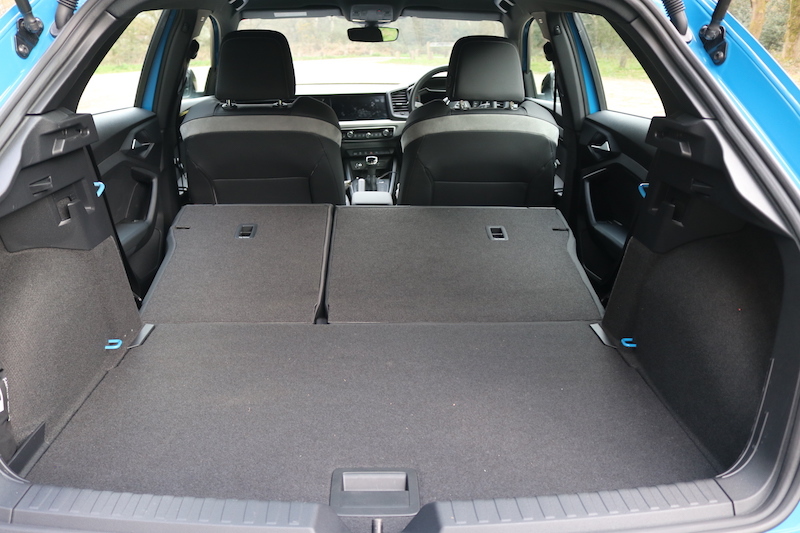 It also has more space – in fact, the latest Polo is about the same size as the Mk4 Golf, which is of course in the class above this. 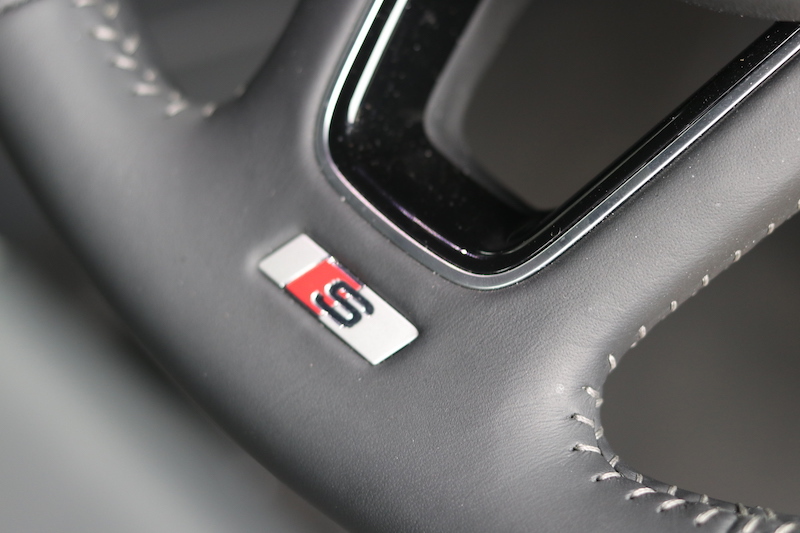 The Polo will also be a bit cheaper to buy, although it won’t be quite as plush. 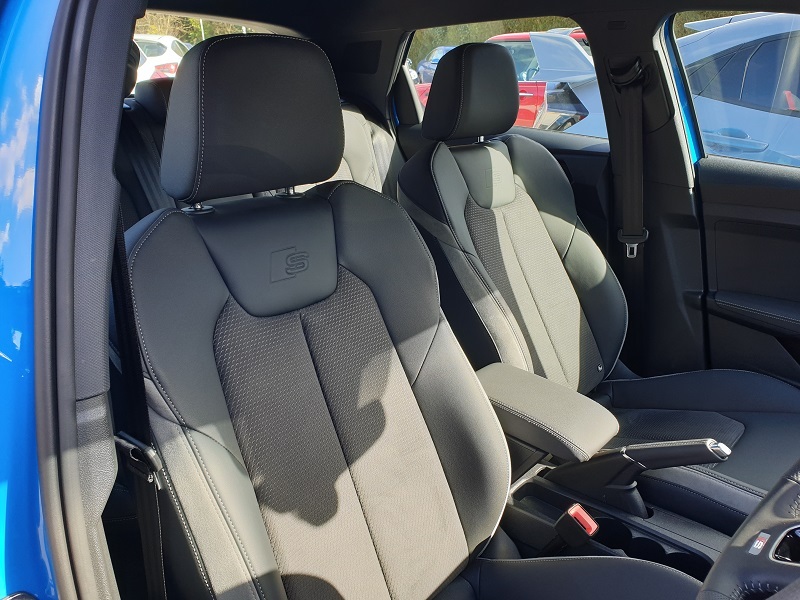 Yes, I know, it’s not as plush or as premium as an Audi, although the new model’s interior is most definitely a step up than its predecessor. 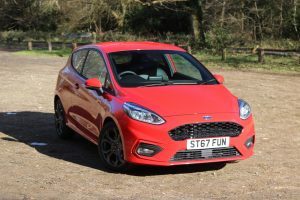 The Fiesta also offers more value than the A1, more space, and it’s a more engaging car to drive. 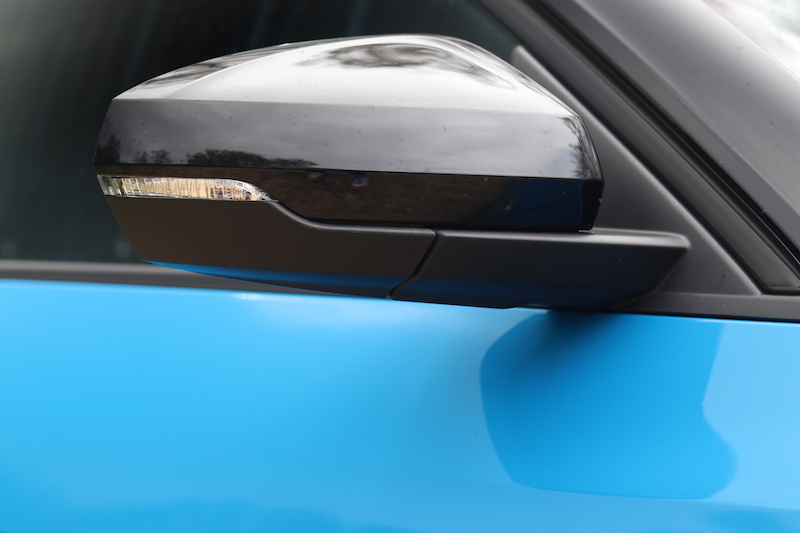 Sure, the Fiesta’s badge appeal is not quite as strong as the A1, but for many buyers, it will make more sense.